The films of J.J. Abrams are not exactly widely known for their levity, good humor, and wackiness. This video, however, might give you a different perspective on the matter, or at least on the disappointing sequel Star Trek Into Darkness (a title that still annoys the crap out of me). Too bad they couldn’t have included some of these bloopers into the final cut in order to liven things up a bit. This short video comes from IGN, and while it isn’t anything that you haven’t seen before, it may make you smile to hear Simon Pegg make a joke about Khan. Some secret that was, but at least they got some good laughs out of the Mystery Box, too bad no one else did, or ever will. The Saturn Awards turned 40 this year, marking four decades of the Academy of Science Fiction, Fantasy & Horror Films honoring their picks for the best in genre film, television, and home video. The 2014 awards were handed out last Thursday night, June 26, in Burbank, California. 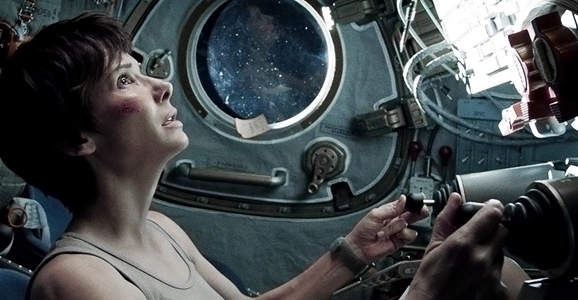 The big winner of the night was Alfono Cuarón’s Gravity — not that big a surprise given the massive success the film was last year, racking up $716 million in worldwide box office. Spike Jonze’s Her also took home several awards, with The Walking Dead, Hannibal, and Breaking Bad dominating the TV side of things. One contender that got totally shut out? 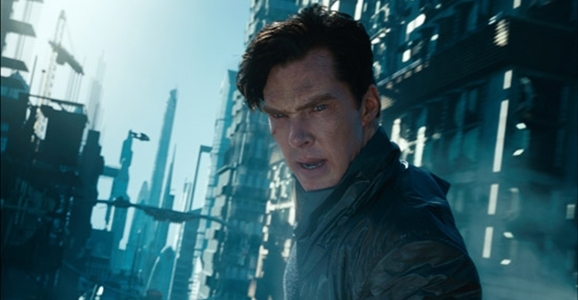 Star Trek Into Darkness, which managed five nominations but didn’t take home a single win. Of course, they also gave a nomination to Lone Ranger, so take that as you will. Check out the full list of winners for the 2014 Saturns below. 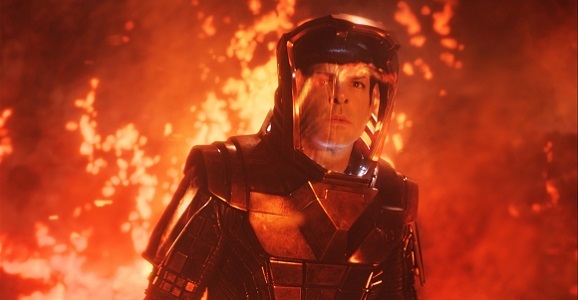 There were plenty of people who hated J.J. Abrams’ Trek sequel Star Trek Into Darkness, but even for those who enjoyed it, there were things to get pissed off about. I’m not even talking about the movie itself, but rather the handling of the home-video release, which exemplified the very worst of current home-entertainment trends by requiring fans to buy multiple versions of the movie from multiple sources if you actually wanted to get all of the bonus features. Well, the good news is that an upcoming new release of Into Darkness will be packed full of bonus goodies, including some new stuff. The bad news is that, yet again, you’re going to be stuck buying more than just the movie if you actually want to get your hands on it. The new two-disc Star Trek Into Darkness release will be part of the upcoming Star Trek: The Compendium, which will include both Abrams’ original Star Trek and the IMAX version of Star Trek Into Darkness, plus all manner of extras, for $39.99. Of course, if you’re a fan of Abrams’ brand of Trek, there’s a good chance you’ve probably already bought both of these movies. This is hardly the first time a studio has put out a superior version of a release months after the original, but it’s bound to be damned irritating if you were one of the people who did buy multiple versions of Into Darkness so you could get things like the director’s commentary, which is included with the Compendium but which was originally exclusive to iTunes. Sigh. Hi, this is Nick Venable from the future, where I’m friends with Wolverine and Professor X and stuff. There’s all kinds of Sentinels where I’m from. And Peter Dinklage has a mustache. It’s real crazy. And while you’re waiting for the future to get here, why not spend a day or two catching up with some of the most recent streaming science fiction? Here’s what’s new this week in streaming science fiction! Have you ever had a piece of cake that was gorgeous on the outside but full of misplaced disaster inside? That’s kind of what watching J.J. Abrams Star Trek Into Darkness was like. A beautiful CGI creation that takes viewers from one place in the galaxy to another, Into Darkness‘ visual appeal and all-star cast can’t make up for a lackluster and often goofy script. Maybe one could blame it on the piss-poor marketing campaign with Benedict Cumberbatch’s “mystery” role at its center. Maybe it was just a lame story. Either way, Simon Pegg FTW! Just because the Oscars have come and gone doesn’t mean that awards season is completely over. The 2014 MTV Movie Awards are just over the horizon this spring with Conan O’Brien hosting the ceremony. Since MTV caters to younger viewers, the movies nominated this year reflect the network’s key demographic. 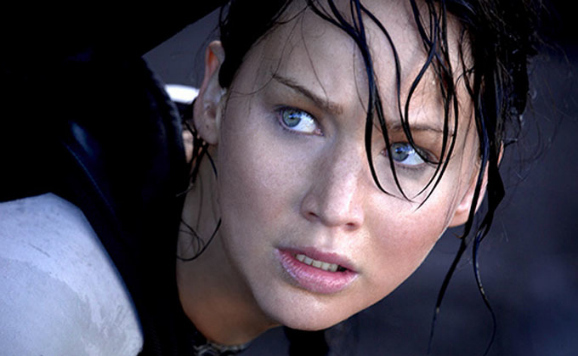 It’s not shocking to see, but The Hunger Games: Catching Fire has been nominated for seven Golden Popcorns, but there are also a number of other sci-fi films up for awards, too. Catching Fire saw nominations for Best Female Performance for Jennifer Lawrence, Best Male Performance for Josh Hutcherson, Best Fight, Best Shirtless Performance for Sam Clafin, Best Villain for Donald Sutherland’s President Snow, Best On-Screen Transformation for Elizabeth Banks turning into Effie Trinket, and, of course, Movie of the Year. I’m actually surprised that the sequel didn’t get nominated for Best Kiss. Even aside from all the drama involving the whole John Harrison/Khan thing, the powers that be behind Star Trek Into Darkness’ home video release managed to piss off even the fans who liked, and planned to buy, the Trek sequel when it hit home video. As we reported last year, the Into Darkness release was a perfect example of the frustrating trend of “retailer exclusives,” meaning that if you actually want to get all the bonus features for the film, you have to buy multiple copies of the film from various sources. Even the film’s commentary track, typically one of the more must-have options for fans, had to be purchased as a separate download from iTunes. There were also a ton of deleted scenes that were only available through the Xbox SmartGlass second-screen app if you bought a copy from the Xbox video store. Until now: for the time being, at least, you can check out all the Into Darkness deleted scenes below. Watch them quickly — we have a feeling they’re going to get yanked down sooner rather than later. Up top is an extended version of the conversation where Pike (Bruce Greenwood) demotes Kirk after learning of the Nibiru incident. Greenwood’s Pike is one of my favorite parts of the new Trek timeline, so I’m all for getting as much of him as possible.